Nicholas has a passion for problem solving and creating intelligent solutions to complicated problems. As director and BIM manager at BIM Edge he enjoys the diverse challenges that different projects bring. With more than 10 years’ experience in BIM and construction he brings a wealth of knowledge to projects. 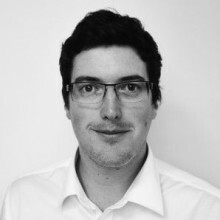 He has a strong history leading BIM Coordination on large projects, training and teaching teams while on the job, producing 4D building construction sequences, 4D renders and animations, developing new ways of using technology to further other understanding of construction, using his API and C# knowledge to create software that fills the gaps between current software. BIM Edge are Software and Technology experts. We provide BIM Services, Training and Education, Clash Detection and Coordination, Revit Modelling, 4D Construction sequence BIM, software programming and customisations, training and advice.